Hi everyone! 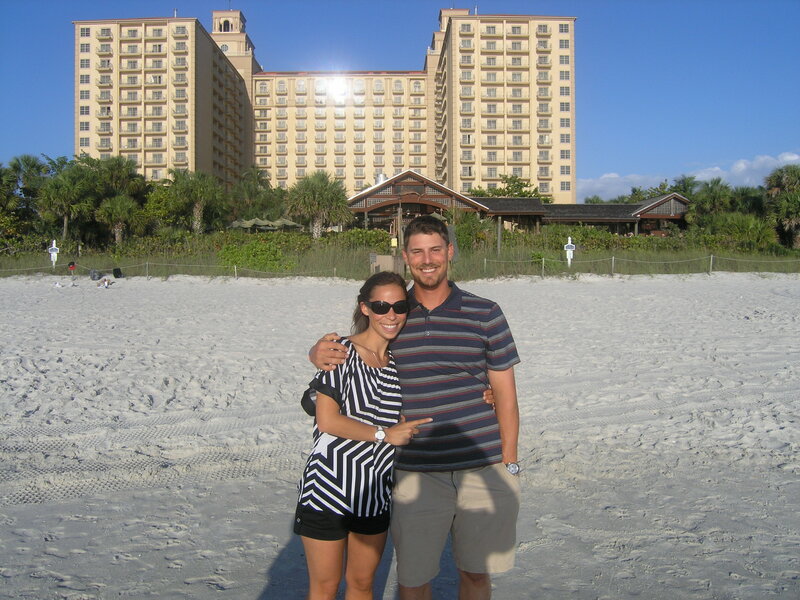 Sorry for the absence this week… Ryan and I made the long drive from Denver to Fort Myers over the past few days! That’s about 2,000 miles for those of us that were counting. 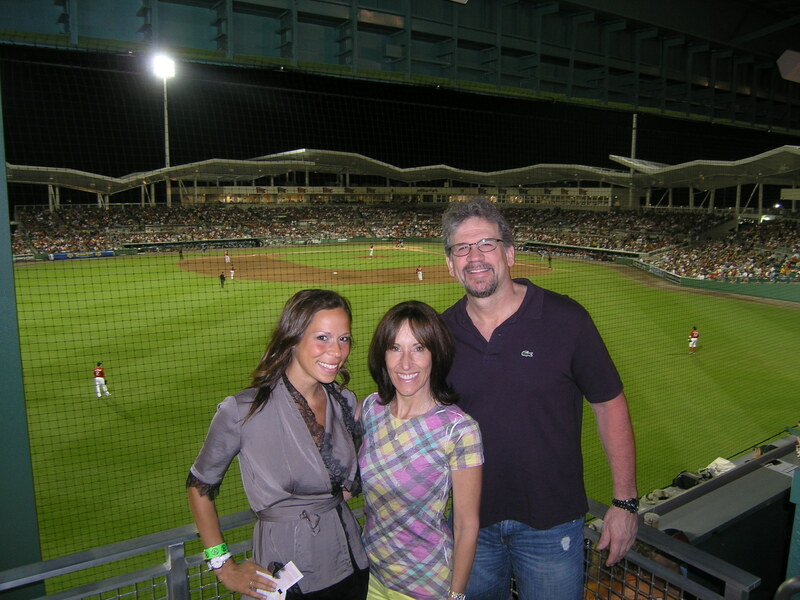 The great news is that it’s time for Spring Training! I can’t believe how fast another off season has gone. In honor of our return, I thought I would post about our favorite restaurants from past spring training visits. The first two years I came to visit Ryan, we tended to go to the same places over and over again. If you aren’t around the beaches Fort Myers can feel very vast and spread out. We tended to stick to restaurants in the Gulf Coast Town Center because it was convenient and reliable. Last year, however, I made sure that we branched out and tried new things. And boy am I glad we did! We made some friends that live here year round and they were a wealth of information about new places to try. Here is a short list, running north to south, of some of the new restaurants we liked best. More to come as we enjoy the sunshine down here in Spring Training! Sweet Melissa’s Cafe (Sanibel Island)– Trekking out to Sanibel can be a little daunting during peak tourist season, but if you make it there you must go to Sweet Melissa’s Cafe for dinner. They serve modern American cuisine with a bit of local fare. I took my grandparents here for their anniversary and it was the most enjoyable night. What I love most about the menu is that you can order “petite” portions of all the entrees. As a table we tried three appetizers and three small plate entrees; just a few bites of everything so everyone could try it all. Each dish, from the bourbon glazed pork belly, to the pan seared mahi mahi with corn and crawfish hash, is unusual and delicious. Go with a small group to maximize your order! It’s a great atmosphere for a celebration or special occasion. Brew Babies Garden Bistro (Cape Coral) – We went to Brew Babies as a gift from my parents for Valentine’s Day. We were both immediately charmed by the outdoor garden that most diners choose to eat in. The atmosphere is further enhanced by local jazz music played on Wednesday and Friday nights. The menu at Brew Babies is traditional American, nothing on the menu will blow your socks off, but the food is cooked perfectly. One of their signature dishes in the osso bucco served with wild mushroom risotto; hearty, rich, and full of bold flavors. I would suggest Brew Babies for a fun date night, as the scene leans more towards romance than a night out with friends. Lush Bakery (three locations)- I worked at Lush Bakery last Spring Training and hope to be working there again! 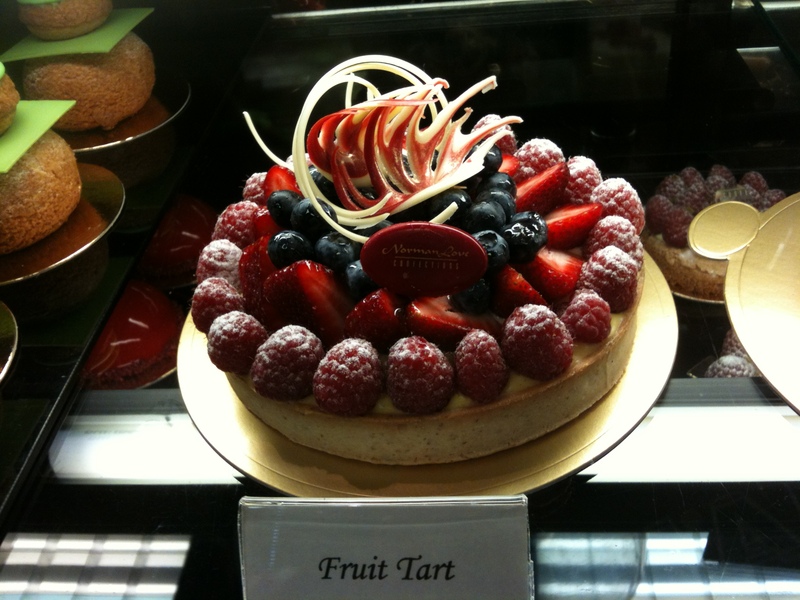 The bakery serves traditional French pastry made by a very traditional French pastry chef. I knew the quality was spot on when the majority of our clientele was visiting Fort Myers from Europe. Stop into Lush first thing in the morning for a croissant and cappuccino. If you miss the morning rush, come in for lunch for a croque sandwich, made the traditional way with melted gruyere and a fried egg on top! The way people’s faces light up when they see it is priceless. Be sure to order a Napoleon or Josephine for dessert for the perfect French lunch. Norman Love Confections (Fort Myers)– Norman Love is conveniently located right next to Jet Blue Park. I maybe stopped here a dozen times over the course of spring training. They serve impeccable truffles, desserts, and baked goods. The precision is truly beautiful. I would say that they are too pretty to eat, but that’s a complete lie because we barely made it to the car before we broke into them, unable to wait until we got home. Make your own assortment so that you can pick the flavors you like best; they make great gifts to take home for friends. Also stop next door for a scoop of their artisan gelato, another gourmet and decadent treat. 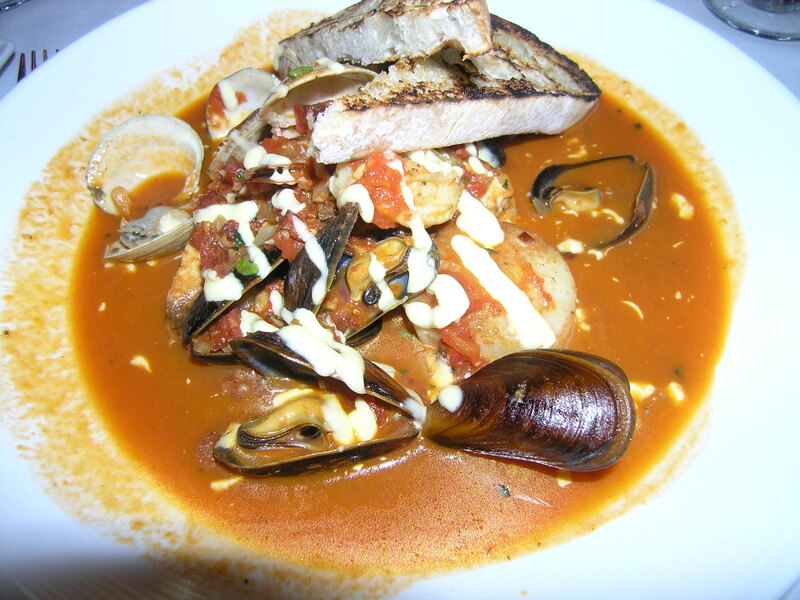 Angelina’s Ristorante (Bonita Springs)– Angelina’s is an upscale Italian restaurant located just between Fort Myers and Naples. It’s dimly lit and perfectly elegant for a nice evening with family. We went to Angelina’s with Ryan’s agent, all of us super foodies, and had a great meal. They have excellent homemade pastas, to-die-for lobster ravioli (you might need a few orders), and a large wine list. Gumbo Limbo in the Ritz Carlton (Naples)– I had never been to Naples until our friends Carolyn and Alex asked us to meet them at one of their favorite spots, Gumbo Limbo. Not going to lie, we were a little intimidated walking into the Ritz for casual drinks and dinner, but we were pleasantly surprised that Gumbo Limbo has a very casual atmosphere. Go on a beautiful sunny day; they don’t take reservations, and we used the excuse to go trek around the beach for a while before we sat down for dinner. Gumbo Limbo sits on the oceanfront and has incredible views during sunset. The prices are reasonable and the food is pretty good. We had the crab nachos which were a definite favorite and great mojitos. I would go back again and again just for the view.